When Yuan Shu has two or less blood, he can use any hand card as escape. Whenever Yuan Shu kills any player, it is treated as he kills a rebel. 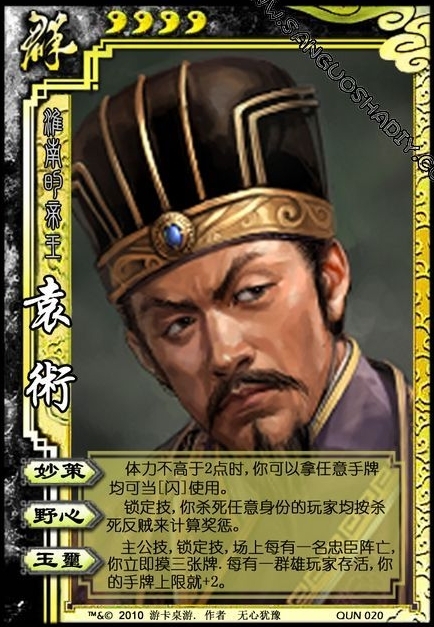 King Ability: Whenever a loyalist dies, Yuan Shu draws three cards. For every other hero that is alive, his hand limit is increased by two. 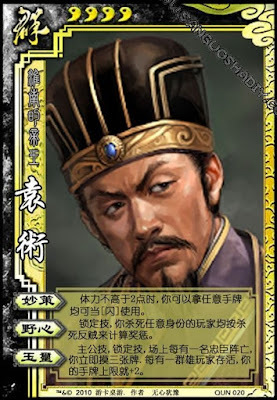 If Yuan Shu is king and kills his loyalist, he will draw six cards.